Since its foundation back in 1996, Eurodesign has been delivering high-end telecom solutions to a large number of business in Azerbaijan and Georgia. Eurodesign specializes in IT service delivery, system integration, IT consultancy and project management. Applying vast experience and technical expertise, Eurodesign is able to offer broad range of IT and Telecom services and products. The services offered vary from the design of structured and fiber optic cabling systems to voice communications systems, including audio and video conference systems that are mainly offered to businesses in the telecommunication field. In 2015 the company carried out rebranding in order to increase the customer retention and the brand awareness. The present company motto is following: «EURODESIGN: Your technology designer». The company human resources consist of more than 200 skilled experts whose professional competence is confirmed by certificates including unique ones in Azerbaijan. Huge experience was obtained by the company during preparation of the infrastructure of The First European Games Baku 2015 and a range of other large-scale projects. In recent years the company has hold leading market positions in its field. The key direction of the company business development is providing its customers with high-grade IT-services. EURODESIGN Company continues transforming into a service IT-company and a universal system integrator from a contractor of infrastructure projects. We cooperate with leading international software and hardware vendors like Cisco, Microsoft, Oracle, IBM, Siemens AG, HPE, Huawei, AVAYA, etc. The multibrand approach allows EURODESIGN to offer solutions for all the fields of IT development for business and take into account a specific character of each customer activity as much as possible. 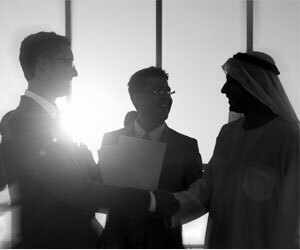 The company actively collaborates with enterprises of oil and gas producing industry as well as financial institutions. The clients of EURODESIGN comprise telecommunication operators, insurances companies, health facilities and official entities. The company own infrastructure for IT-service provision is also developing. In consideration of onrush of cloud technologies, virtualization services, and the most-coveted IaaS and SaaS services, The EUROESIGN team offer its customers relevant solutions. The EURODESIGN experts are successfully developing a range of business lines including IT-outsourcing, Business Intelligence and management consulting, energy and communication systems. Our corporate strategy for the foreseeable future is that we want to become the leader in providing with advanced, innovative and integrated solutions not only for Azerbaijan market but also all the region. The company develops trusting and transparent relationships with all the members of the market and progress toward the creation of the strong EURODESIGN brand as a reliable business partner. We utterly value our unblemished business reputation in the information and telecommunication market as well as our client confidence and the due respect from members of the professional community. We put emphasis on the quality of the services being provided. 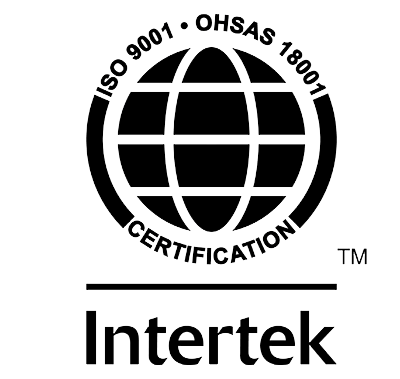 EURODESIGN Company holds Quality Management Systems Certificate in accordance with ISO 9001 and Occupational Health and Safety Management Systems Certificate from Intertek Company in accordance with OHSAS 18001. The large-scale plans which the company makes are impossible to realize without highly trained specialists. The united team of EURODESIGN includes IT-professionals and recent graduates, whom company pays adequately and creates all the conditions for compulsive work and proper rest as well as opportunity to advance professionally and up the corporate ladder.